The profile settings and display names for Teams is pretty confusing. When I first signed up for Teams it used my private information (my full name) only within Teams. I rechecked Stack Overflow public and all was good, that one still had a display name. I don't know what I am editing on this page as the top line is orange telling me I am on Stack Overflow. I guess what I am asking is display name should be available in both Stack Overflow and teams - it's OK if you want to use the full name but it should be a separate field and may default to your full name. I agree that the profile is confusing and needs a lot of work. Here’s some context about how we got here and what we’re going to do about it. Over the years as Stack Overflow’s offering has grown the profile and the settings to control your profile data have been adapted to accommodate this. These changes have been incremental and made on an ad hoc basis. However we’ve never had the opportunity to step back and consider what the Stack Overflow profile should be given everything we’ve learned about our users and how they use it. The net result is a bloated product with a large amount of design and technical debt. Specifically we have 3 profiles (public profile, Developer Story and now Team profiles) for 3 audiences that share a large amount of data. This makes it very hard to know who can see your profile data and how you can control it. We didn’t add a drop down to the settings tab because the majority of settings don’t make sense to be specific to a Team. For example logins, job preferences and site preferences do not apply. However there is some profile data such as job title or profile image that would be nice to be specific per Team. We chose not to allow customisation per Team to prevent further duplication of profile data that would be hard for users to manage - as we’ve seen happen on Developer Story. 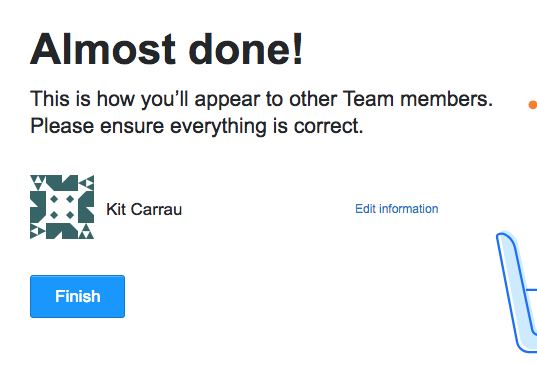 For Teams we needed the ability for users to be identifiable within a Team to their colleagues. Knowing who wrote an answer and their role in your organisation is important for you to be able to trust that answer. Given display names are not identifiable we decided to reuse the real name field that is used on Developer Story and shared with employers (if you choose both of these to happen). Your real name takes the place of the display name wherever it is viewed within a Team. Only you and other members of the Team can see your Team profile. If you have any feedback about possible changes please do post on here! Not the answer you're looking for? Browse other questions tagged discussion support profile-page stack-overflow-for-teams .